JASON CAN AUDITION FOR YOU RIGHT NOW! Jason’s strong music and rhythmic background give him a natural pacing, tone and microphone technique that has helped him record thousands of commercial, promo, animation, narration, industrial, and ADR sessions. YOU’VE BEEN HEARING HIM FOR OVER 21 YEARS!! Whether it’s for national network commercial campaigns (State Farm, Bud Light, Pepsi, Verizon, Domino’s, Slimfast, Marvel, Office Depot, etc), promos (Law & Order, Nickelodeon, Wheel of Fortune, ESPN, Starz, AMC, etc), or cartoons (Virus Attacks, Angel’s Friends, Spike Team, Bondi Band, SNL’s ‘TV Funhouse’, MTV’s Celebrity Deathmatch, etc), hundreds of Fortune 500 companies have entrusted Jason’s voice to represent their brand. In the ADR world, Jason has voice-matched an Oscar-winning actor, an Oscar-nominated actor, enjoyed a private session with an Oscar-nominated director for a movie that made over $360 million globally, and has had featured voice roles in the films Butter, Junction, and TV shows Big Dogs, You Are Wanted, and Beat (Amazon Prime) along with group ADR roles in numerous films. Conversational. High energy. Laid back. Wry & dry. Warm & friendly. Cool, older brother. Edgy & sarcastic. Intimate narration. Character work. Straight-up announcer. Legal reads. Looping. Voice match. He’ll even sing your jingle if the mood’s right. Want to get right to work? Need a custom audition? 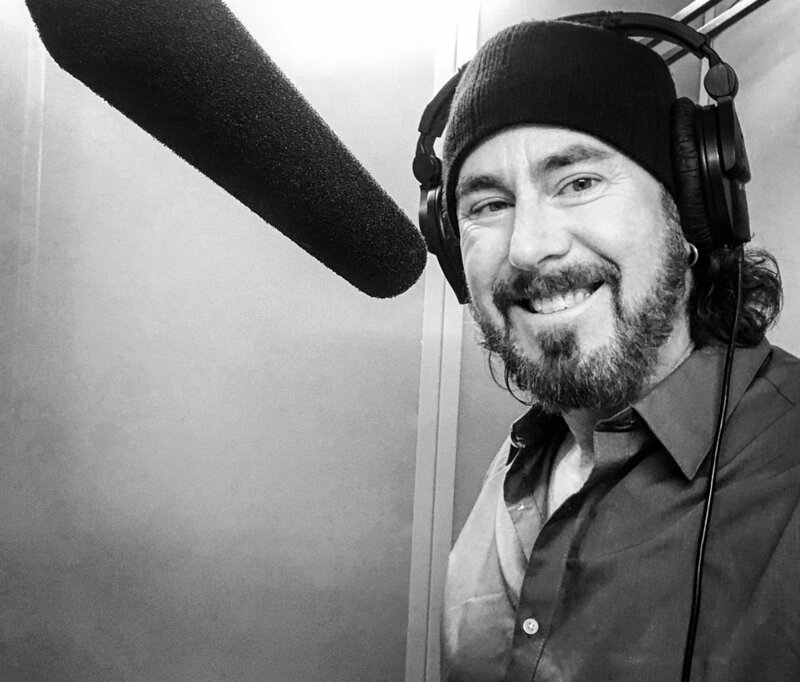 Drop me a line right now at jasonvoiceover@gmail.com and let’s connect! Jason gets the job done right! This is Rage - Radio Drama "Kimo Balthazar"